The sudden death during training hours this summer of Bobby Abu Dhabi (Macho Uno) was a tragic incident. Connections lost a horse they loved. Racing lost one of its sprint stars. His death, however, opens a window into a still relatively obscure corner of equine fatalities. While Bobby Abu Dhabi was originally reported to have suffered cardiac arrest, it was later reported he died of other causes. What this confusion betrays are some common misunderstandings surrounding “sudden deaths,” namely that the term comprises a variety of different health issues and injuries, some of them completely unrelated to the heart. 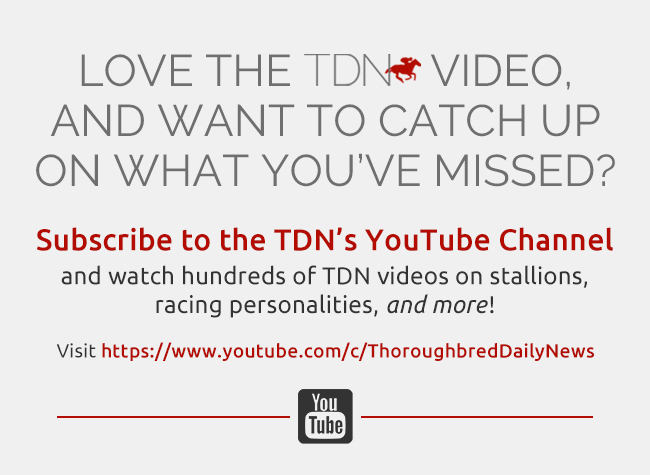 Another problem, said Dionne Benson, executive director of the Racing Medication and Testing Consortium, is that while we can speculate why racehorses’ hearts suddenly give out, we’re still unable to provide definitive answers, like we can for humans. Veterinary medicine defines exercise-induced “sudden death” in racehorses as the collapse and death in an apparently healthy horse during, or within one hour after, exercise. The term comprises many different causes, not just sudden cardiac death. Massive bleeding in the lungs or abdomen; fractures of the skull or neck; hemorrhaging from a pelvic fracture–all these injuries can prove swiftly fatal in a manner that, outwardly, resembles a cardiac issue. Of paramount importance, then, is that a thorough post-mortem is conducted swiftly, to identify, if possible, what happened. While some jurisdictions have comprehensive necropsy programs for all horses fatally injured during racing and morning training, this is far from a blanket requirement across the nation, meaning that many sudden deaths, which happen relatively rarely anyway, go unexamined. What’s more, even if a post-mortem is performed, when it comes to sudden cardiac death, oftentimes there are no lesions, ruptured arteries or damaged heart tissue that pathologists can point to with authority and say this or that caused the heart to stop. How Frequent Are “Heart Attacks”? Nevertheless, there have been attempts to get to the bottom of the issue, beginning at the frequency with which sudden deaths occur. In a 10-year period between 2007 and 2017 in California, 8.2% of all training and racing related fatalities were sudden deaths. From data collected between 2007 and 2013 in California, approximately one sudden death occurred per 9,000 starts, and about one sudden death per 160,000 training days. California’s numbers stack up against this 2011 study, considered by many experts to be the largest and most comprehensive review of exercise-related sudden death post-mortem findings in racehorses. All told, 268 different cases of sudden death from six racing jurisdictions around the world were reviewed. According to the study, the proportion of overall racing fatalities classified as sudden death was 19% in the UK, and in the Australian state of Victoria, that number was 19% in flat races and 3.5% over jumps. Most tellingly, pathologists were only able to make a definite diagnosis in 53% of cases, a presumptive diagnosis in 25% cases, while 22% of cases were left unexplained. Indeed, “when they call me in the middle of the night and tell me we’ve just had a sudden death, it really wrecks my night because it’s so frustrating–chances to get an answer will be slim,” said Francisco Uzal, coordinator of the California Animal Health and Food Safety Laboratory post-mortem program for the California Horse Racing Board (CHRB). So, what do experts suspect are the causes of sudden cardiac death? “It’s not like human heart attacks where they have too much cholesterol, blocked arteries,” Benson explained. “Because the whole equine heart is so big, it’s very susceptible to electrical irregularities.” By “electrical irregularities,” Benson means arrhythmias (an irregular heartbeat), and heart murmurs (the presence of irregular heartbeat sounds). Perhaps surprisingly, electrical irregularities are far from uncommon in racehorses. But Peter Physick-Sheard, a professor at the University of Guelph’s Department of Population Medicine, explained that the presence alone of certain arrhythmias shouldn’t always cause alarm. “It’s a very dynamic problem,” he said of the electrical function of a horse’s heart. For example, atrial fibrillation, a type of arrhythmia, causes poor performance, but “there’s little to no evidence that horses with atrial fibrillation are going to die suddenly,” he added. As part of his research on the issue of sudden cardiac death, Physick-Sheard found that about 18% of Standardbreds examined showed “serious rhythm disturbances” as their hearts returned to normal after racing. Over the course of 430 individual races at Woodbine, Physick-Sheard detected the same issues in Thoroughbreds, “but we saw them with a slightly lesser frequency [to Standardbreds] and a different timing,” he said. Nevertheless, there still remains no concrete scientific evidence that electrical irregularities cause sudden cardiac death, even though most experts agree that electrical issues are key to getting to the root of the problem. A significant obstacle lies with the fact that, in a necropsy, the heart won’t show any signs of an electrical issue that might have occurred immediately prior to it stopping. A useful diagnostic tool for any sudden death, therefore, would be an electrocardiographic history–a series of EKG readings, for example-that would indicate whether the horse is susceptible to exercise-induced arrhythmias or murmurs. But very few racehorses are examined this way. That said, nearly three years ago, the New York State Gaming Commission (NYSGC) announced that it would begin a “groundbreaking pilot program” to determine the prevalence of arrhythmias in racehorses, using a smartphone-compatible heart monitor that could take EKG readings. 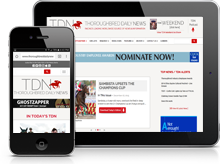 TDN asked the NYSGC for specific details about the program and any findings. Brad Maoine, a commission spokesperson, responded in a brief statement that no “preliminary conclusions” have yet been drawn. Sometimes, though rarely, pathologists will find damage or a defect of the heart that will explain how it stopped. The 2011 international review study points out that rupture of the aorta–the largest artery in the body–is “anecdotally thought to be a common cause of exercise-related sudden death in horses,” but that it occurs in only 1% of cases. The same study also notes how most horses that suddenly die have microscopic heart lesions, usually minimal or mild. Gross cardiac lesions–lesions that are visible without a microscope–were reported only in California, Victoria and Japan, and only in a relatively small number of cases. According to Carrie Finno, associate professor of veterinary genetics and director for the Center for Equine Health at the University of California-Davis, the presence alone of cardiac lesions doesn’t mean they caused the heart to stop. And though we are now better able to determine what causes certain lesions–like an arrhythmia, for example–the lesions themselves are typically very subtle. “A detailed cardiac examination is required to find them,” said Finno. Back in early 2015, 30 racehorses in California received physical examinations, EKGs, echocardiograms, and had blood samples taken, all before and at various intervals after competition. None of the horses suffered arrhythmias, but the authors noted a post-exercise increase in what is called valvular regurgitation, which is when heart valves don’t close properly, allowing blood to flow backwards in the heart. Laura Kennedy, associate professor at the University of Kentucky’s Veterinary Diagnostic Laboratory, said that changes in the heart, which can be related to inflammation and “turbulent blood flow”–conditions like atrial fibrillation and valvular regurgitation–can trigger irregular heart beats. Knowing how a heart stopped is different from knowing why. So, could certain medications be to blame? The short answer, once again, is that we just don’t yet know for certain. Clenbuterol, for example, has been associated with changes in equine cardiac muscle. While the drug is suspected to cause sudden death or cardiac arrhythmias, there has, to date, been no definitive proof. After the rash of fatalities at Saratoga the summer of 2014, the New York State Equine Review Board published a report that recommended reducing the intravenous administration of calcium, magnesium and stimulants to horses in close proximity to a race. That’s because, “given together, these drugs can alter the functions of the autonomic nervous system that is responsible for controlling the normal gradual decline in heart rate following exercise,” the report stated. At the end of the day, “until we can better track medication use in racehorses, we will be unable to correlate medication use to sudden deaths in equine fatalities,” said CHRB equine medical director Rick Arthur. Which leads to the least explored area of this already narrowly traversed subject-genetics. In humans, certain genes have been linked with a higher risk of heart disease. But in racehorses, where the circumstances around sudden cardiac death are much different, no genetic predispositions have been identified-as yet. There’s movement in this corner, however. For her dissertation, PhD candidate Sian Durward-Akhurst, a Large Animal Internist at the University of Minnesota, is trying to find out whether certain equine genes are linked to atrial fibrillation. “Because then we’ll be able to predict which horses are at higher risk of developing this disease,” she said. Durward-Akhurst identifies possible genetic variances by comparing the whole genome sequence of horses with atrial fibrillation against a genetic database of horses classified as “normal.” All told, the study involves about 530 horses, most of them Standardbreds, though about 48 Thoroughbreds will be included. The study is ongoing, and “in about a year’s time, I’ll hopefully have a lot more to say,” she said. This 2014 paper out of the University of Guelph, Canada, found that breeding and, interestingly, year of birth impacts the prevalence of atrial fibrillation in standardbred horses. Peter Physick-Sheard was a co-author on the study. His ongoing work in this field concerns mainly Standardbreds, but he said that even if Thoroughbreds are found to have a genetic predisposition to sudden cardiac death, that doesn’t mean a sudden catastrophic event will occur. Some kind of trigger-like over exertion, or a medication being administered-would have to first “precipitate the system failing,” he added. Biomarkers are substances that can be measured to indicate the presence of some of kind of disease, infection or exposure to something environmental. If we could identify certain biomarkers caused by specific conditions that don’t leave a visible fingerprint in the heart after it suddenly stops–like atrial fibrillation, for example–this could prove invaluable to equine pathologists. We can’t identify any, as yet. But in the 2015 California study involving 30 racehorses, researchers detected a heart muscle enzyme that can go up through “cardiac stress” such as that from a race, said Carrie Finno. Typically, levels of this enzyme would return to normal by 24 hours after the event, but “there were some horses where [levels of the enzyme] went up faster than expected, and actually stayed up past 24 hours,” said Finno. An overarching problem was identified in this paper from last year: that autopsy techniques in different jurisdictions differed “depending on personal and institutional preference,” impacting findings. An antidote would be a standardized autopsy methodology in sudden deaths, like the one outlined in the same paper, said one of its co-authors, Francisco Uzal. “And there has to be more work between clinicians and the [pathologists] that examine the horses after death because it would be really good to correlate the findings in live animals with what we see in dead animals,” Uzal said.